Framing the Inside and Windows. Do You Like the New Building? The rumors must have been true. There is a beautiful new Springville Township Community Center and Library being built in downtown Mesick. We are placing all our township assets toward the finishing of this major project hopefully by November of this year. Please note that we are raising NO funds from a millage for this project. The purchase of the building and the transformation to a Community building is a result of wisely saving past funds over the years for a project that will directly benefit the area residents from young to old. Our website will keep you up to date the progress. Framing the Outside. New Roof. Whenever you go by and see a worker, please offer your thanks for their workmanship. They are doing an incredible job. Thank you Ken Orshal Company and Gerald Losinski and all the crews working on this special project. A look inside from a new window frame. What Does Springville Township Do? State Law mandates our township perform three main duties, assessment administration, elections administration and tax collection. Thus, the three main officer’s functions, the Supervisor, the Clerk and the Treasurer. Also, we have procedures for financial administration, which are budgets, accounting, investments and deposits. Our Township Meetings must comply with Michigan’s Open Meetings Act (MCL 15.231, et seq.) and township records must be stored and made available through the Freedom of Information Act (FOIA – MCL 15.231, et seq.). Beyond those mandated functions, the township also supplies needed programs for the people in the area, such as the Fire Department and overseeing cemeteries. Basically, the township can offer services that protect the health, safety and welfare of the communities within its jurisdiction. Located in Northwestern Michigan, Springville Township has a population of over 1800 people, with a prize recreational man-made lake, Hodenpyl Dam Pond, filled with activities of canoeing, fishing and camping. Crossing through the township and along the Manistee River is the North Country Trail, perfect for short or long hiking adventures with picturesque bluffs and overlooks. Here you will find information about township departments, contact information for officials, and much more! The Michigan Townships Association is a voluntary membership association for Michigan's 1,240 townships. Springville is a member. 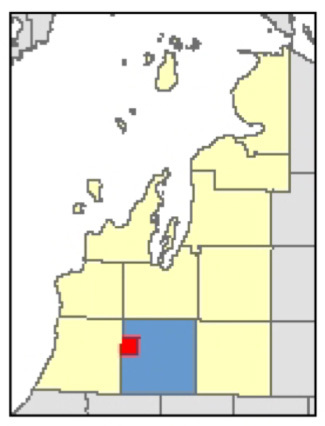 Wexford County is the parent county for Springville Township. The Village of Mesick is a town in the Northeastern part of Springville Township. The Board of Review meets three times per year, in March, July and December. The March meeting is for 6 hours each day for two days. Meetings are at the Township Hall.